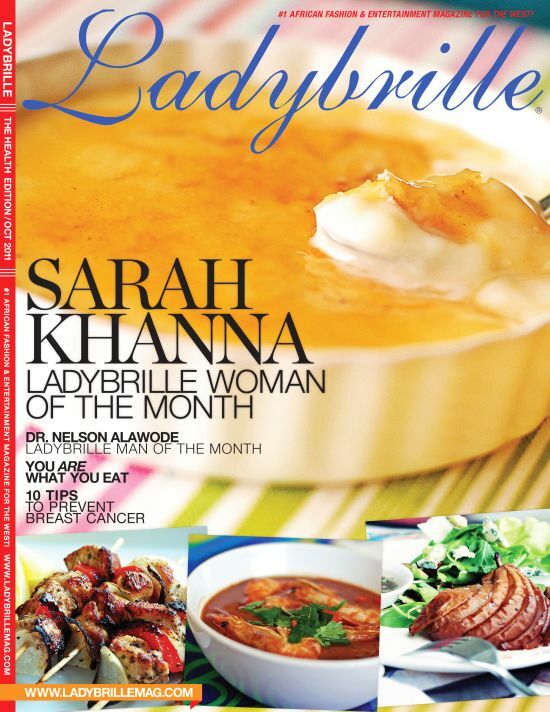 “Sarah Khanna, Ladybrille Woman of the Month October 2011, of Egyptian and Indian heritage, left her lucrative career in advertising to pursue her passion for food. In 2010 she launched her food blog Buttered-up.com, which displays her cooking, writing and photography skills. Since the launch of Buttered-up.com, Khanna, because of her above average work and straight forward recipes on Buttered-up.com, has managed to attract media attention and a strong ever increasing fan base. Khanna is also now a weekly food columnist for the Daily News Egypt where she critiques and writes mostly about Egyptian food. In her first and detailed exclusive interview with Ladybrille, Khanna shares her journey into food, her mouth watering food recipe(s) and also gives us a glimpse into Egyptian culture. Enjoy! LADYBRILLEmag.com: Hi Sarah, thank you for your time and agreeing to grace us with your presence on Ladybrillemag.com. How are you? Sarah: I’m very well, thank you. It’s nice to be interviewed by such a unique magazine. LADYBRILLEmag.com: Thanks! You were a perfect fit for us this month for our Health Edition, given your amazing blog with healthy food recipes and showcase of Egyptian cuisine. What were you doing before you started your blog Buttered Up? Sarah: Thank you for choosing to feature me. Before blogging, I was working in advertising, first as a copywriter and later as a creative executive. A few years into it, I realized that I would likely spend the rest of my life at the office and would not have time to have a hobby or spend time with friends and family as much as I’d like. Advertising, although addictive, is a career that I’m not 100% sure I’d return to. LADYBRILLEmag.com: What a multi-talented lady you are! You cook, photograph and write about the meals you cook. Let’s take each one apart. How and when did you discover your love for cooking? Sarah: I’ve always loved food. I just wasn’t as interested in cooking it for the most part of my life. When I had more time on my hands, I took to the kitchen and realized that I enjoyed it much more than I originally thought I would. Relocating to Malaysia allowed me to experience flavors that are diverse and unique. The outdoor wet markets and the fresh ingredients I had never seen before lured me in. I also noticed that world cuisines were progressing in their own sense while our own Egyptian cuisine was at an all-time standstill. Sarah: Writing has been a hobby of mine ever since childhood. I’ve always kept some sort of journal where I would regularly pen down my thoughts. During my teenage years, I wrote bad poetry and moved on to copywriting after graduating from university. I love discovering new styles of writing and enjoy, as strange as this sounds, flipping through the dictionary. I’d say writing on my blog is more of an outlet than a job. I have often used it as the place to vent. LADYBRILLEmag.com: (Laughs) (I know the feeling. I say writing is my therapy. It is very relaxing.) Your pictures are quite lovely. You have such an amazing eye and hand. How and where did you develop your passion for photography? Sarah: I picked up my father’s old Pentax film camera when I was around 17. For years, I only took portraits. I did not enjoy capturing any form of still life and disliked landscape photography. After the first few months of toying around, I decided to read up a little on photography and bought a new digital SLR with a lens I really liked. It was only around a year and a half ago that I decided to take photos of dishes I cooked. Ever since, I have been passionate about food photography and scope out the different photos of food flung at us everywhere to see what kind of style I’d like to eventually settle down with. I’m still learning and experimenting. 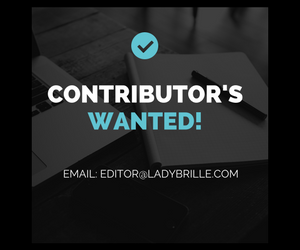 LADYBRILLEmag.com: You seem to get better by the moment, where are you learning how to present and shoot food images as well as you do? Sarah: I’ve taken a few classes but those were cooking classes and had nothing to do with presentation. My mother always had a way with presenting food and I’ve managed to pick up many tricks from her over the years. I’m always on the lookout to see how other bloggers are presenting their food. I prefer more natural styling. I don’t like photos that look extremely staged. On my dining table, I like things to look comfortable and elegant. Nothing too stiff. LADYBRILLEmag.com: Agreed and it is probably why your blog has resonated with many and continues to. What kind of posts have you found resonates most with your readers? Sarah: People love desserts and carbohydrates. I’ve also noticed that recipes that are quicker to make and that require less ingredients get more hits. It goes to show you that most people are considerably busy and upon deciding to follow a recipe, they go for something fast and preferably using one pot or pan. LADYBRILLEmag.com: (Laughs. Yup! The world we live in. Busy, busy, busy.) 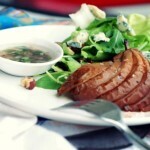 One draw to your blog, for us, was your healthy yet mouth watering looking meals. Is this an Egyptian food culture to cook healthy or it is just unique to you? Sarah: Egyptian food is quite heavy with copious amounts of ghee used to cook. I try to take traditional Egyptian meals and change them up a bit so that they’re easier on the stomach and quicker to make. Using the ingredients we’ve been blessed with to create something a little more modern is well needed in our country. LADYBRILLEmag.com: What are some of the main staple foods eaten by Egyptians? Sarah: Egyptians love their fava beans as well as whole wheat flat bread and rice. We have a lot of plant-based proteins like lentils that really work to keep you full for long periods of time. Onions are used in pretty much everything. LADYBRILLEmag.com: Hmm . . . interesting. Who are some of the food chefs within Egypt you most admire? Sarah: Within Egypt, I admire a new lady on the scene called Ghalia Mahmoud. She cooks for simple people who do not have a large budget and access to fancy ingredients. Her TV show is different from the rest of the Arabic cooking shows around. Since I picked up cooking while abroad, I am not as familiar with many Egyptian chefs and find that many on television are not bringing their full game to the table. LADYBRILLEmag.com: Outside of Egypt, what other African chefs do you admire? Sarah: When you look back at Edna Lewis‘ history, her story is fascinating. From seamstress to becoming the queen of southern cooking, this lady was truly brilliant. LADYBRILLEmag.com: We are leaving summer and prepare to usher in Fall, very soon. Share with us a great simple recipe for Fall? Sarah: As the weather begins to cool, fill your home with the smell of sweet pears roasting in the oven. It’s so inviting it’ll make you want to stay home to savor the smell for as long as it lasts. 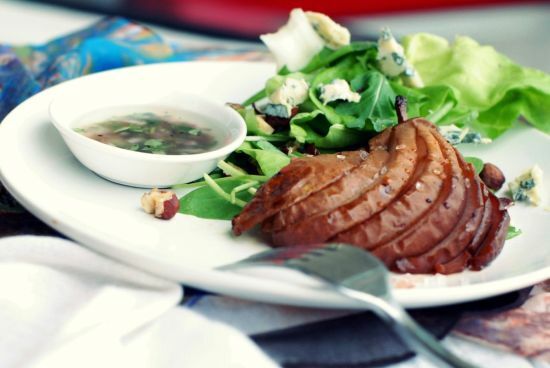 This recipe is for a honey roasted pear salad with an apple thyme vinaigrette. Preheat oven to 175 degrees Celsius. Place thyme sprigs on a baking sheet or parchment paper. Place your pear halves, cut side down, on a chopping board. Starting 1.5 centimeters from each stem, cut lengthwise into 1 centimeter slices. Apply pressure gently to fan out the slices. Place pears directly on the thyme. Drizzle the pears with honey then sprinkle with salt and pepper. Bake until pears are tender, about 15 minutes. Turn your oven off and allow them to rest in place for half an hour before serving. Combine lettuce, rocket in a large bowl. Add prepared vinaigrette and toss to coat. You could also opt to serve the vinaigrette separately. Divide salad into separate portions. Place the pear halves alongside your salad. Garnish your salad with blue cheese and top with hazelnuts. Sarah: I hate the gym. There’s something about working out indoors that doesn’t make me happy. I’ll usually opt for walking or swimming instead. With so many things to think about when blogging and regularly writing my food column, the best way to unwind is to disconnect from technology and sit in the balcony and stare out into the city, listening to it hum while you sit still. As strange as this may be, ironing also allows my mind to relax and drift away into obscurity. LADYBRILLEmag.com: (Laughs) What are the personal values that drive you? Sarah: Commitment, improvement and tolerance. LADYBRILLEmag.com: What does it mean to be a brilliant (Ladybrille) woman, to you? Sarah: A brilliant woman is responsible, persistent and won’t compromise her beliefs to get ahead in life. It saddens me to see many women who are so involved in the way they aesthetically present themselves to the world but are equally dumbing themselves down in hopes that they might be initiated into the world of glamour. LADYBRILLEmag.com: (Hmmm . . . you speak truth) What is it you hope to achieve with sharing yourself the way you do with your audience and also your freelance writings? Sarah: My main aim is to get people back into the kitchen and to get them thinking about their local cuisines. They should constantly strive to make their local dishes better and to codify them so that they are not lost in time. I like sharing my thoughts about Egyptian food culture, where it is lacking and how we can build it to be stronger than it has been for years. LADYBRILLEmag.com: I have never thought it that way. The value we add to our local industries and keeping local businesses open when we can make time to cook homemade meals. Interesting. Get to Know Sarah More! LADYBRILLEmag.com: Let’s get to know you a bit more Sarah, take us on a virtual trip through Egypt! Who are the hottest fashion designers to buy and shop from in Egypt? Sarah: If you’re looking for unique jewelry designs, Azza Fahmy never disappoints. What I love about her work is that she passionately researches Egyptian culture, old and new, and brings it to collection after collection. Beautiful. Sarah: I’m so out of touch when it comes to all the new boutiques opening in Cairo. When I go back to visit, I’m always with family or friends and don’t go shopping for things other than ingredients I can’t find in Malaysia like mastic grains and dried roselle. LADYBRILLEmag.com: Got it. What place would you recommend for delicious, excellent meals? Sarah: I’d rather not recommend places but an Egyptian dish instead. If you’re ever in Egypt, you should definitely look for some koshary, one of our most treasured dishes consisting of rice, pasta, chickpeas, lentils, tomato sauce, chili and a garlic vinegar sauce. Sounds strange but it’s everything Egyptian food is about: starchy, filling and cheap. An added bonus is that you can find it anywhere in the country. LADYBRILLEmag.com: Neat. What about a great place to go dancing? 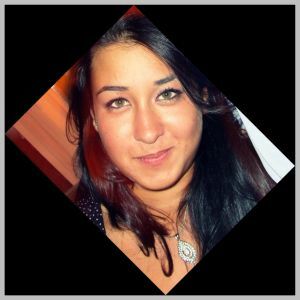 Sarah: If I’m to talk about four years ago, most Egyptian party-goers usually do their dancing outside of Cairo at diving and nightlife hotspots like Sharm El Sheikh and Hurghada. LADYBRILLEmag.com: The most amazing beach resort in Egypt . . .? Sarah: One of the quietest and most relaxing resorts I’ve been to was The Oberoi Sahl Hasheesh, right on the red sea coast. Tip top service. For a less expensive and equally beautiful trip, there are many bedouin-style camps in the coastal towns of Sinai like Nuweiba and Dahab. LADYBRILLEmag.com: What three African artists are currently playing in your Ipod or in your car? Sarah: K’naan, Souad Massi and Bobby McFerrin. LADYBRILLEmag.com: What is the one fashion item you can’t do without? Sarah: Sunglasses. My eyes can get really sensitive in Egypt’s strong sun so a good pair of sunglasses is always something I panic about when I leave home without them. LADYBRILLEmag.com: What is your favorite lipstick color? Sarah: I’m a big fan of Benefit’s Benetint in the morning as well as Clarins moisture replenishing lip balm. Not big on bold lipstick colors because I prefer to play up my eyes so I’d say I like Laura Mercier’s line of sheer lip colous especially in Healthy Lips with a hit of balm on top. LADYBRILLEmag.com: Sounds good! What are your favorite hobbies? Sarah: I enjoy painting. I’ve painted a stool as well as a ceiling fan recently. You’ll usually find a book in my bag. Reading is one of my favorite ways to pass time. I also enjoy watching TV shows with my husband. We’re currently watching Treme. LADYBRILLEmag.com: How many languages do you speak? Sarah: I speak both English and Arabic fluently. My spoken French is extremely broken. LADYBRILLEmag.com: (Sorry to hear about your finger) Thank you so much for your time! Sarah: Thank you for having me and for this wonderful opportunity.